Devin W. Hecht enjoys assisting business owners, individuals, and families with business planning, transactional matters, and estate planning. Devin handles matters including business formations, tax planning and controversy cases, and probate and trust administration. Recognizing that every client is important, Devin appreciates supporting clients in a variety of matters ranging from small business, to real estate transactions, to complex mergers and reorganizations. Additionally, Devin helps nonprofit organizations obtain Federal tax-exempt status. 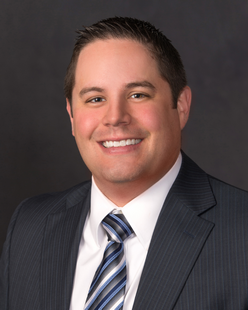 Devin is an Associate in Crowley Fleck’s Billings Commercial Department. Devin was born and raised in Billings, Montana and values his deep ties to the community. As the son of a certified public accountant and a registered nurse, Devin sometimes jokingly quips that he was surrounded by interesting stories on the two certainties in life coined by Benjamin Franklin: “Death and Taxes.” All kidding aside, Devin sincerely appreciates the importance of family, business, and tax planning. He prepares personally customized business plans and thoughtfully prepared estate plans. Devin completed his undergraduate studies at Brigham Young University in Provo, Utah where he studied Political Science and Business. Devin attended Creighton University School of Law where he focused heavily in tax, business law, and estate planning. He also served as a member of the Creighton Law Review. Devin then completed additional post-graduate studies at the University of Washington Graduate Tax Program where received his Masters in Taxation degree. Devin enjoys spending time with his wife Me’Kisha and their three kids. They enjoy camping, fishing, and BYU athletics.